Did you know that it’s some sort of incredible statistic like 45% of Melbourne households have a Billy bookcase from Ikea? Ok, maybe I made that up. Or maybe it’s an urban myth. But I heard it somewhere and think it is totally believable. Same goes with those Expedit units, those things are everywhere. 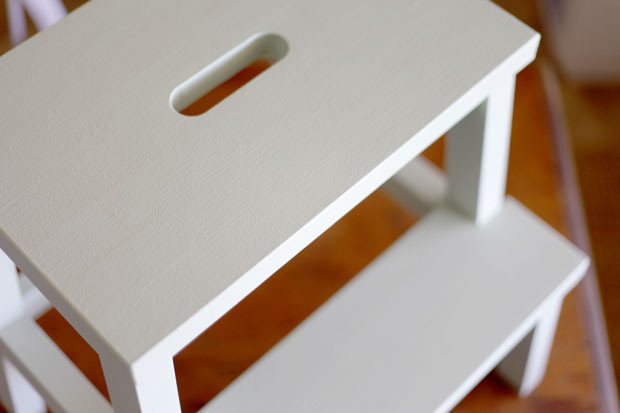 Another Ikea piece common to a lot of households is the Bekvam stool (except I can’t do those little dot things above the ‘a’). Our Bekvam came to live with us when I began nannying a little boy in our tiny cottage. All of a sudden there was a very small person inhabiting our very small space. 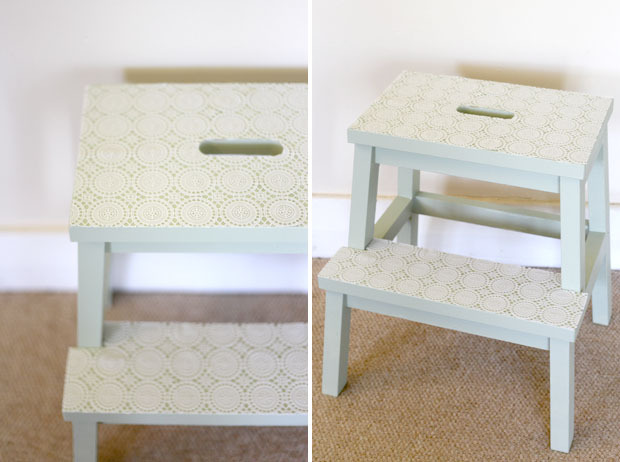 The very small person needed somewhere to sit, stand and generally dictate from, as three year old are likely to. 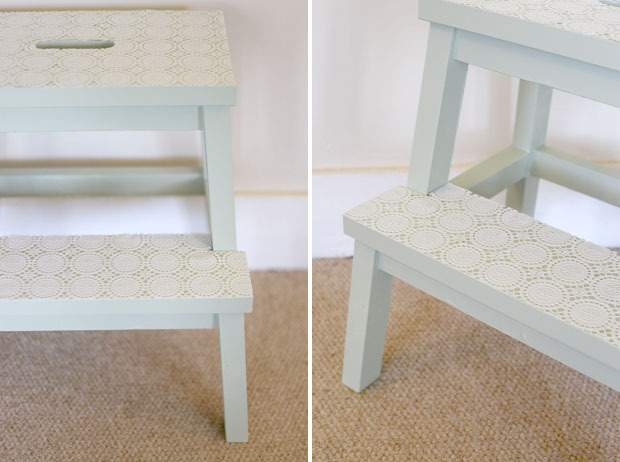 Monty and I would spend most of our days baking, and the stool became very much ‘Monty’s stool’. He would run and grab it after dumping his kinder bag at the front door, perch up on it on the other side of the kitchen bench from me and ask “What will we make today, Nemma?” Bless. With a quick clean off, wipe down, light sand and lick of paint, Bekvam was feeling a million bucks. Let’s not talk about the indecision on the correct shade of green to use, the freak out about it being too pastel and not country-sage enough, the trip back to the hardware store which is an hours drive away, the purchasing of more paint, the hiding of newly bought paint from the husband, the re-sanding, the re-painting, the re-drying. No, we won’t talk of that. And still it looks waaay lighter in the photos than it is in real life. The original paint colour I used would have looked white! 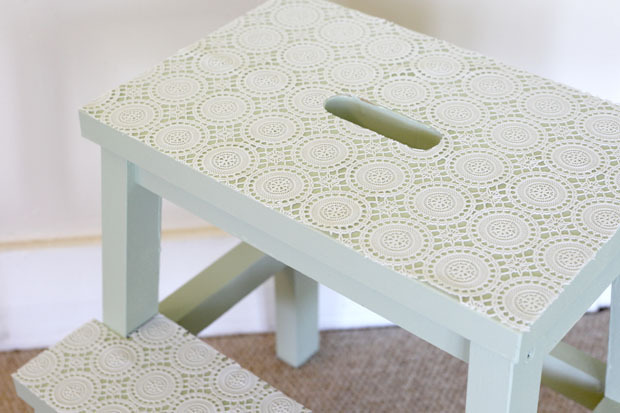 A painted stool is one thing – that’s so easy and yawn-worthy. I saw this cool stuff in Spotlight literally years ago and grabbed it, with no idea of what I would use it for. It’s a waterproof, non-slip table cloth rubber type thing. 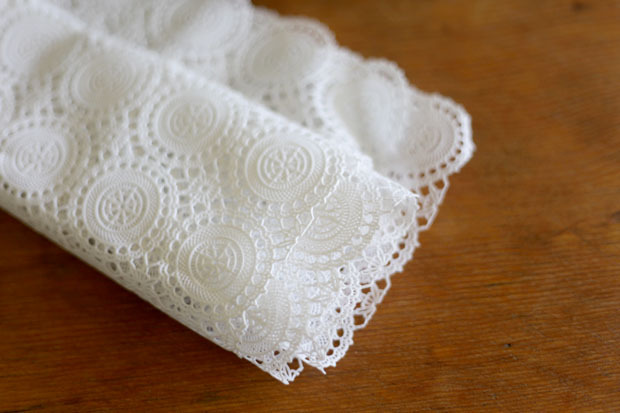 It comes on a little roll in the upholstery and curtains section and there’s lots of pretty doily-like patterns, I liked this circular one and had an ‘aha’ moment when I looked at sad Bekvam, then rifled through craft supplies I needed to use. Lightbulb I tells ya. I flipped Bekvam upside down and traced out the shape of his top, then cut out the white rubber stuff to match, just literally using the stool as my template on a cutting mat with my trusty stanley knife. I measured the second step carefully and cut out a shape to match. 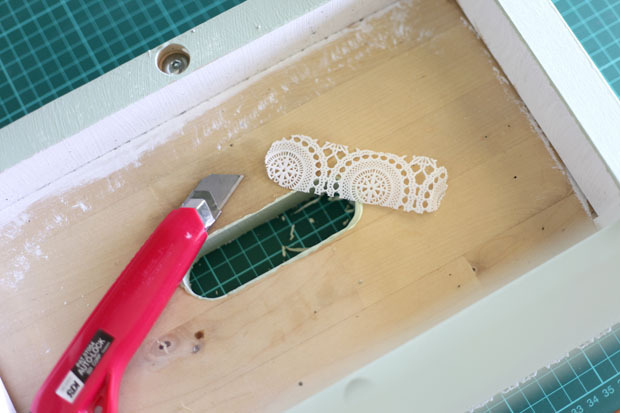 The little hole on top was a bit fiddly to cut out, it would be better if you have a smaller and more accurate exacto knife. Now Bekvam struts about the farmhouse like the day he was born, feeling very fresh, re-invigorated and ready to go to work helping the vertically challenged (of which there is one in this household). We hope to have many more happy years using Bekvam in his new sage green and white rubber-lace glory. 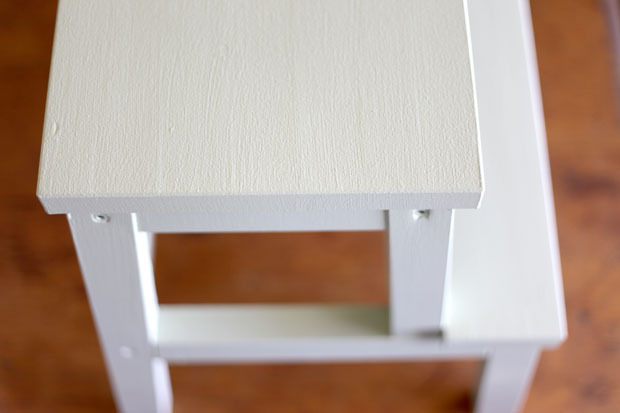 Do you for certain the BEKVÄM stool needs to be resanded for painting or wood staining? Oh too funny! 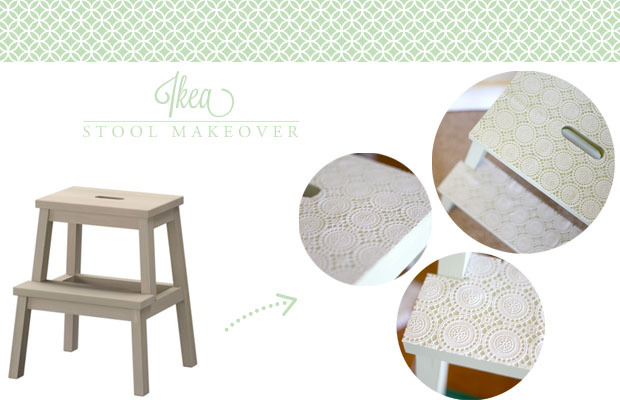 I used to WORK at Spotlight a million years ago and I have that plastic lace stuff AND a Bekvam stool that needs a makeover. Think I might have to copy this one! Super cute! That’s gorgeous, I love it! 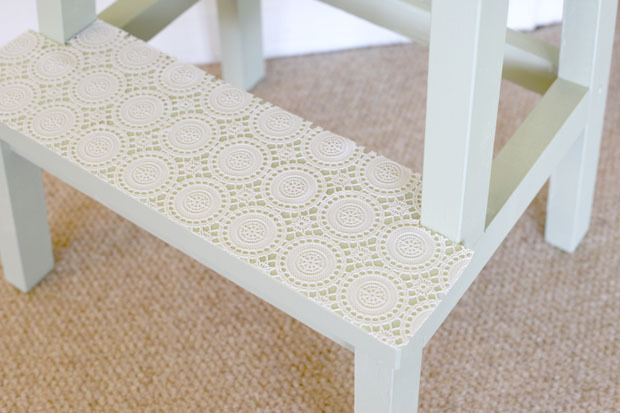 Could you please share the name of the paint you used – it’s a really pretty colour! Emma. You are a GENIUS I tell you, an out and out genius. 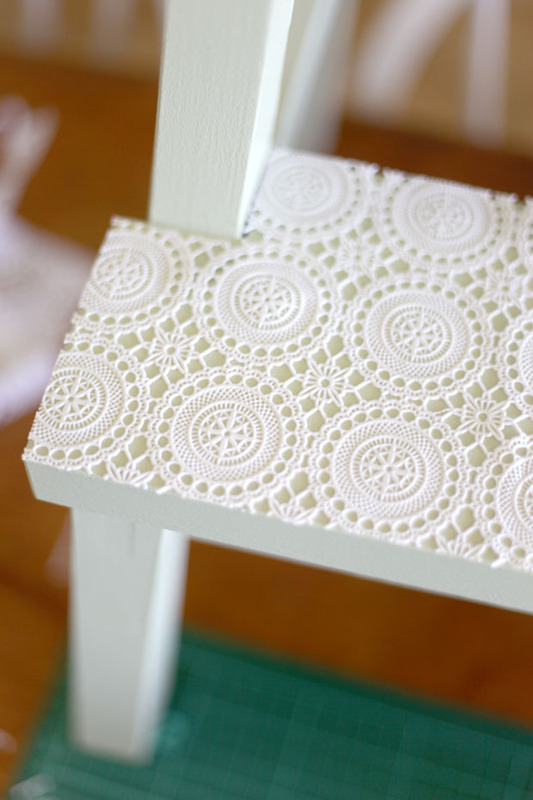 Nanna plastic lace, who would’ve thunk it. 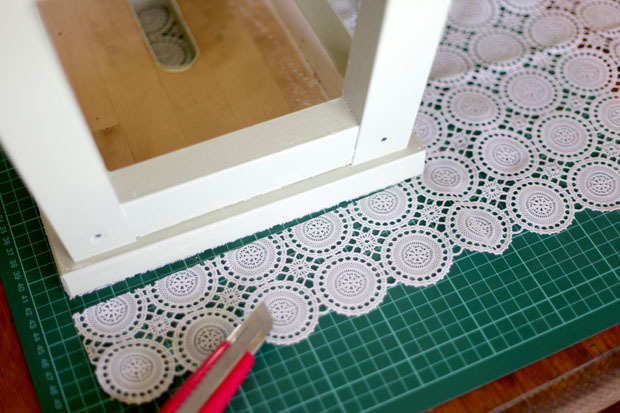 Trying to see in what shape of form I might possibly be able to employ this plastic doily lace in my house….oh my I am having some great ideas….glued into the back of a bookcase/china cupboard that needs a revamp? 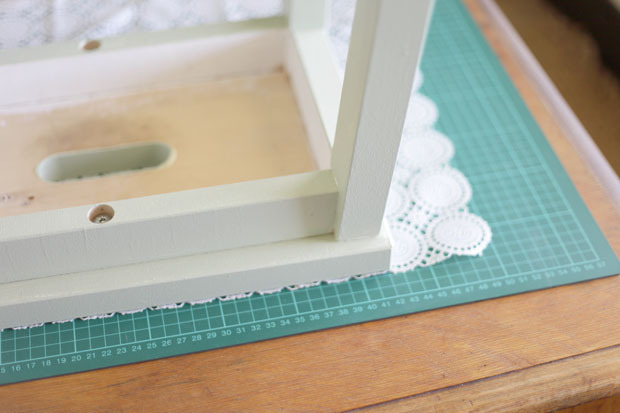 The front of a tired filing cabinet (even painted AFTERWARDS with chalk paint?!) 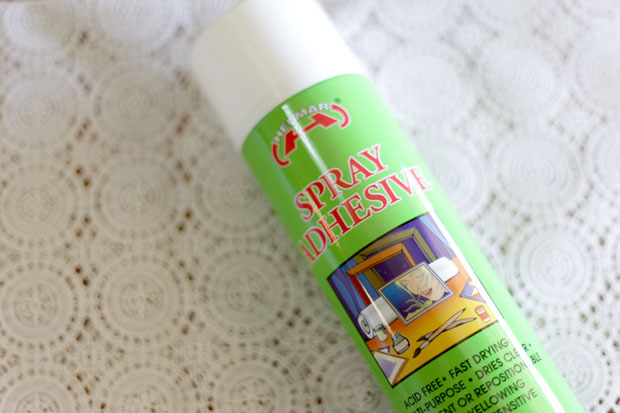 Or one could even just use the plastic as a stencil and get busy with a can of suitable spray paint!!! cute! this stool would be a perfect pot plant holder too!